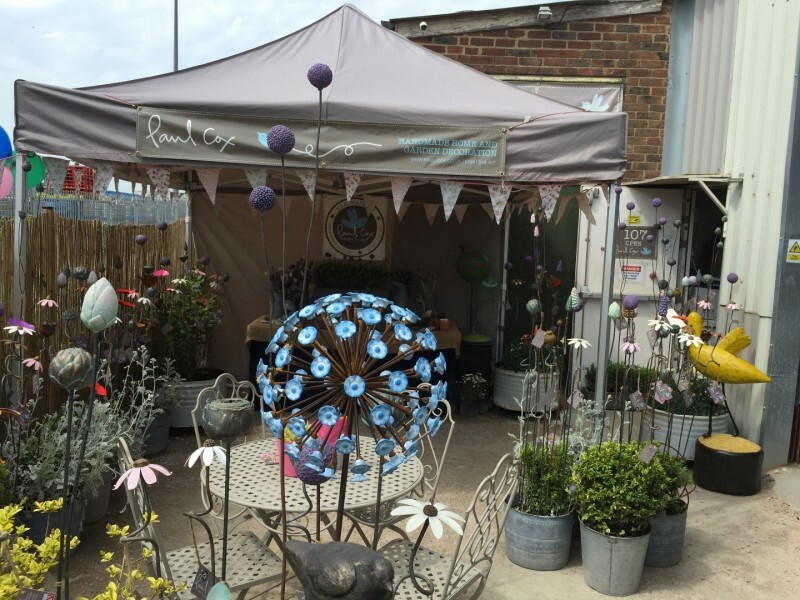 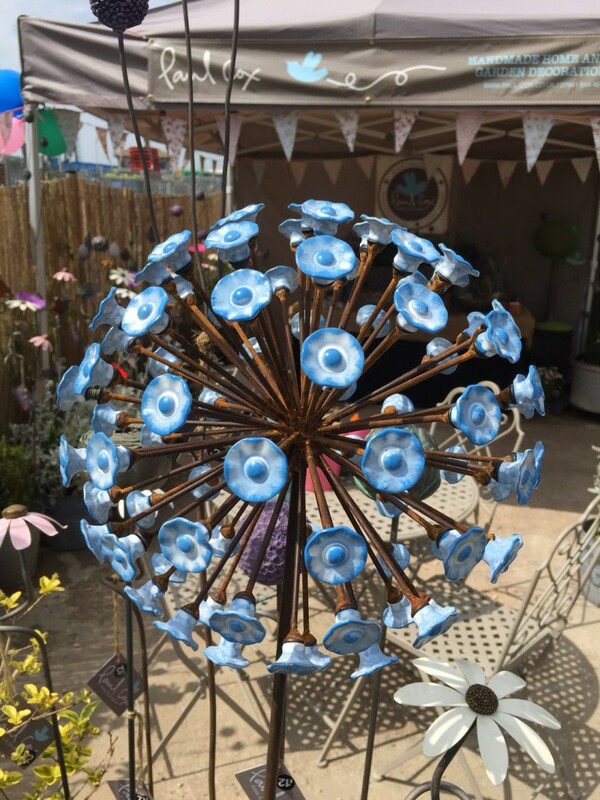 This is a stunning focal point for any garden. 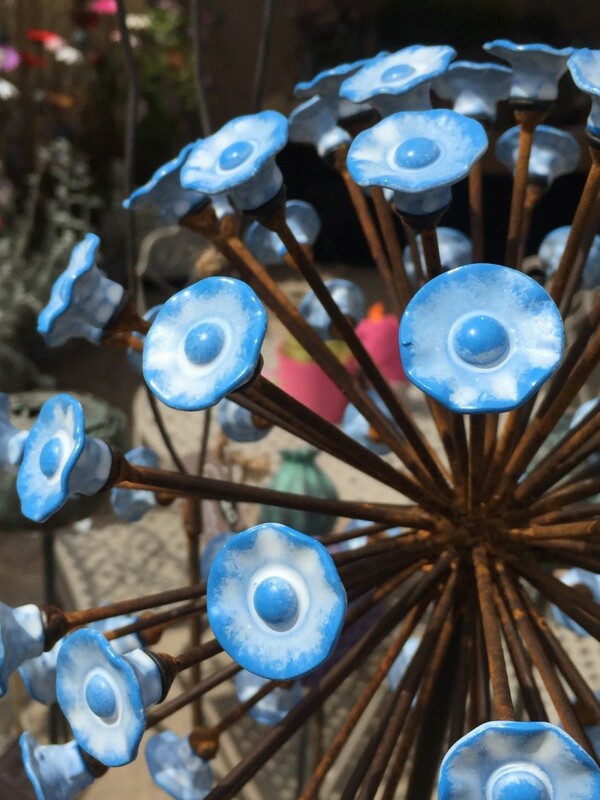 Originally designed for a show garden at BBC Gardens world live 2018. 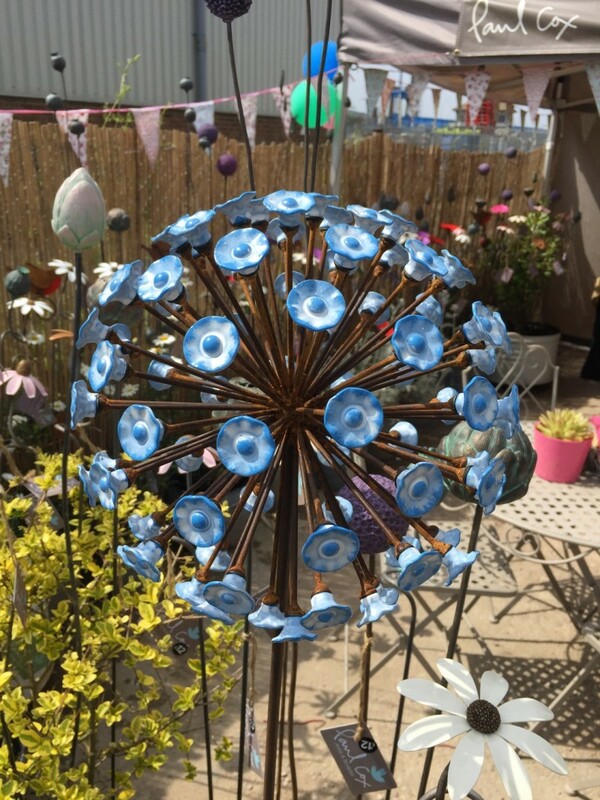 This large allium globe is 200mm in diameter standing 1.2m tall. 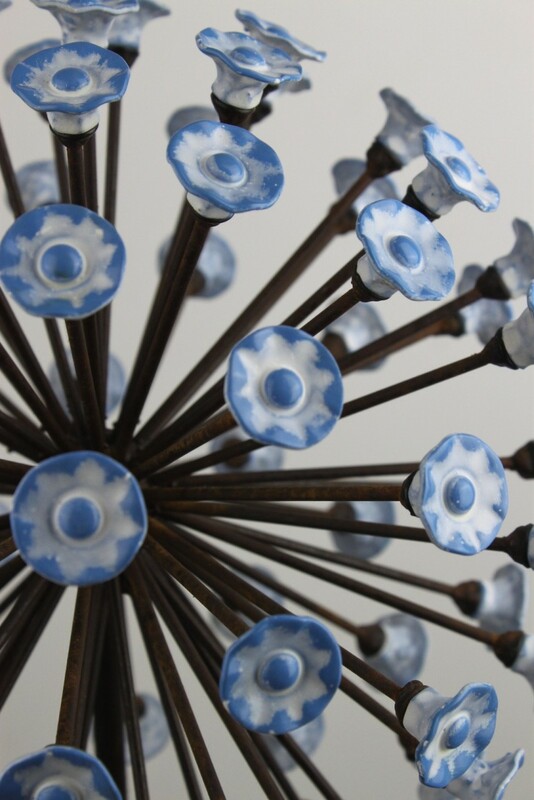 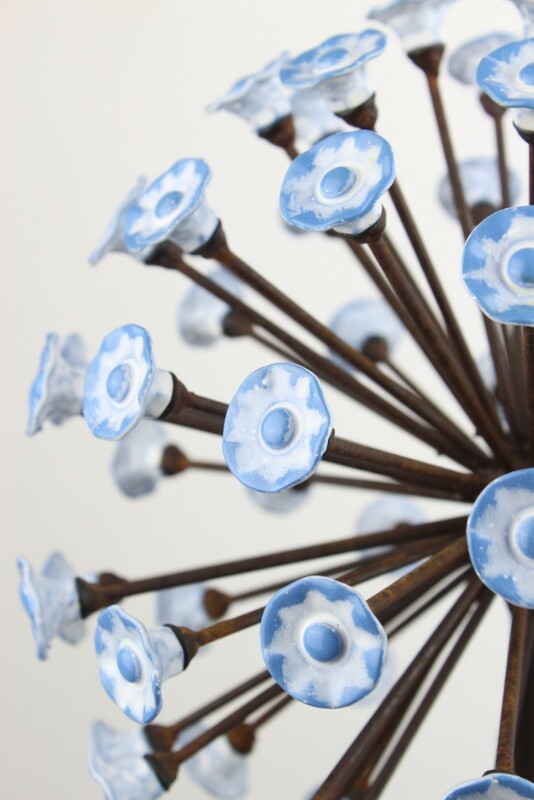 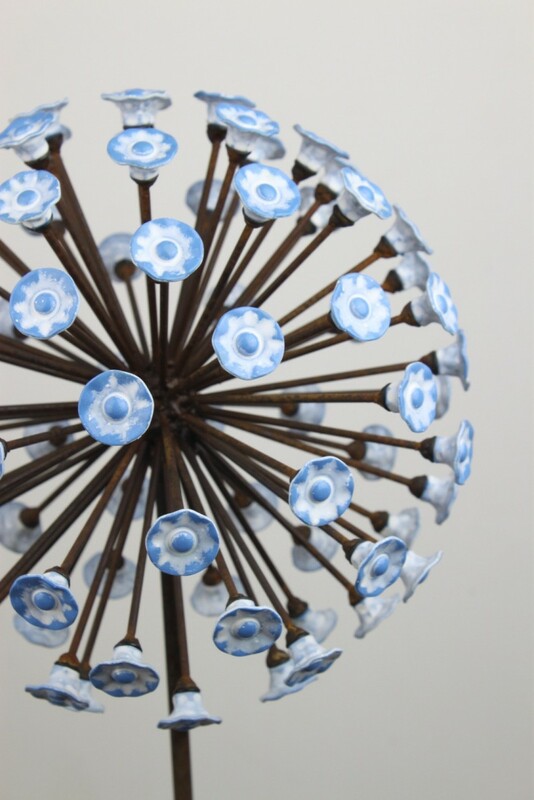 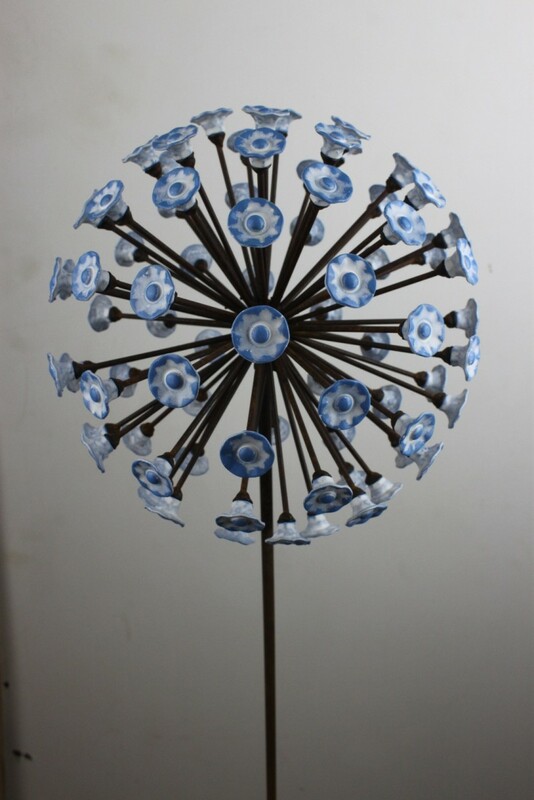 Blue or purple flowers on bare oxidised metal stem. 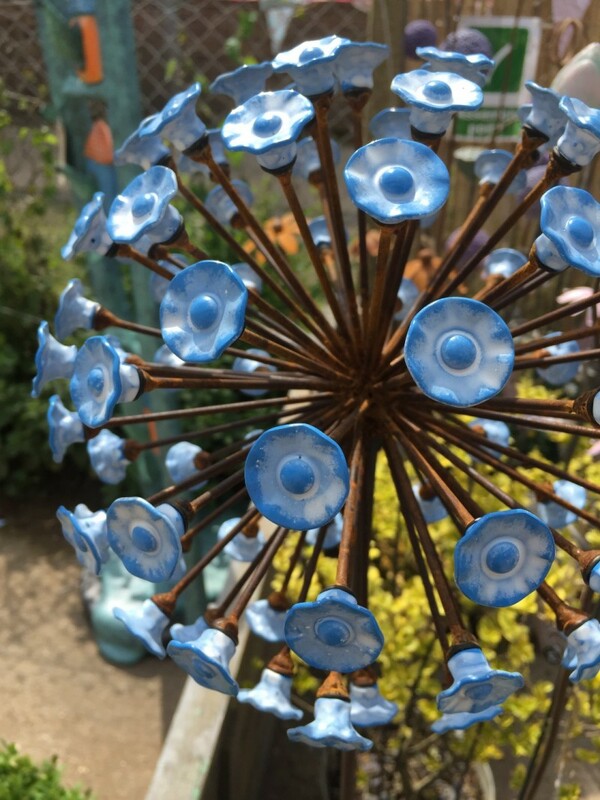 The picture shows the blue flower option.